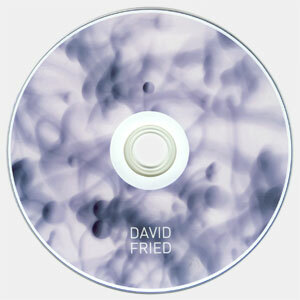 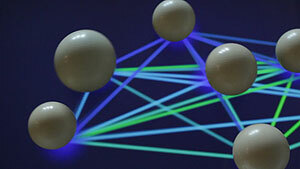 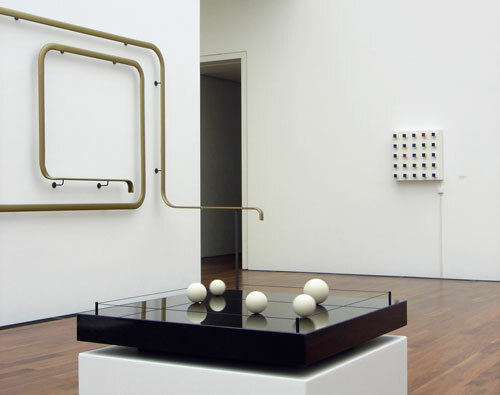 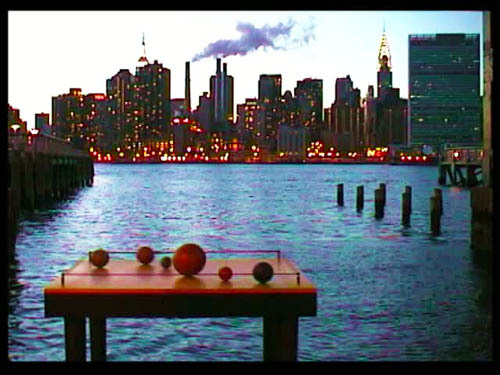 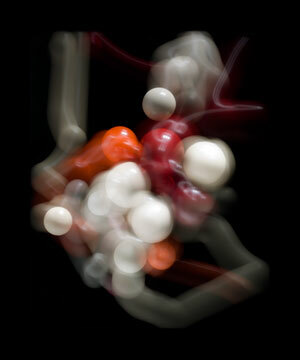 Kinetic Interactive Sculpture Videos: David Fried: Self Organizing Still Life. 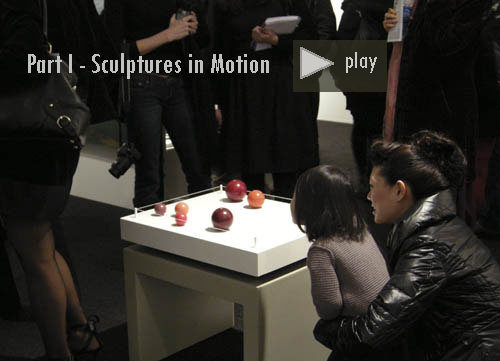 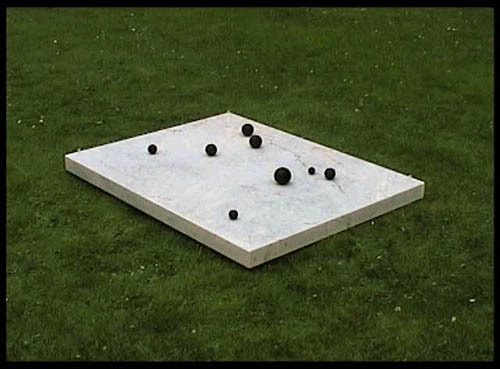 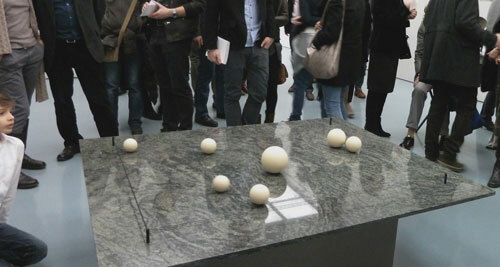 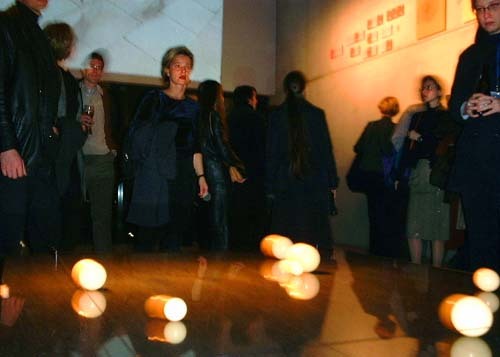 video - interactive sculptures in motion / various installations & exhibitions. 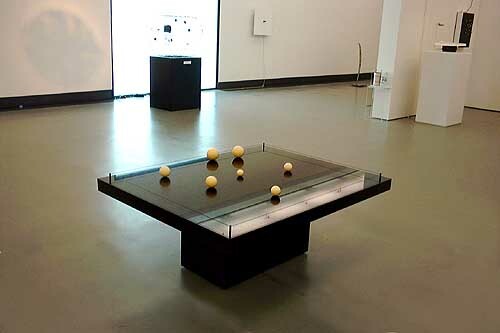 David Fried's "Self Organizing Still-Life" (SOS) is a series of interactive, sound-stimulated kinetic sculptures, which reveal his exploration into the inherent qualities of networked and emergent systems operating far-from-equilibrium intrinsic to nature, individual psyche, communication and social relationships. 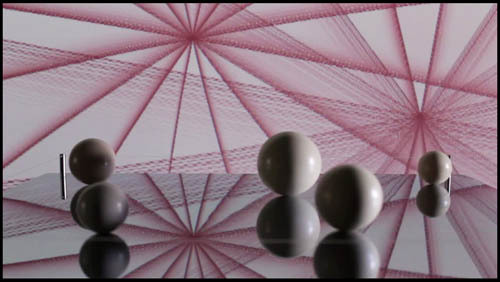 Whatever the scale or materials used for the SOS, they all consist of solid hand-made spheres, which are stirred into motion by ambient sound on a predetermined level object. 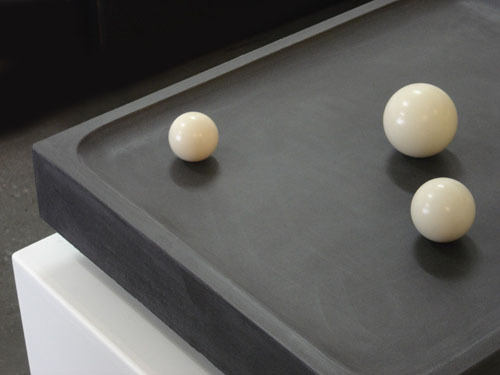 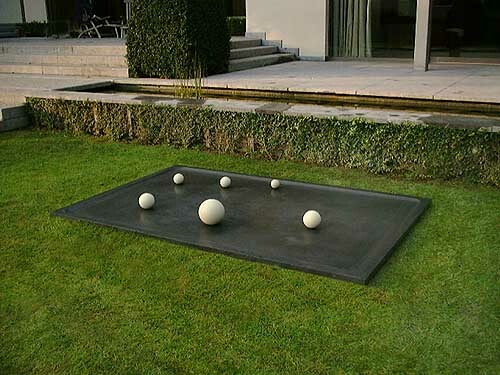 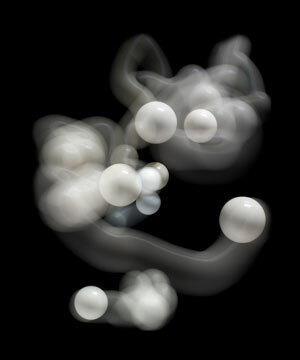 Audible sound is transformed live into waves that silently stimulate each of the spheres into motion. 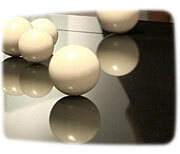 The resulting action of the individual spheres and their interactions with one another are undetermined. 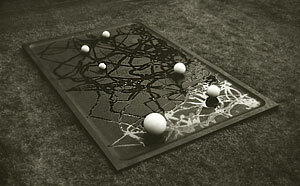 They rearrange themselves in continually new patterns of elegantly fluid choreography. 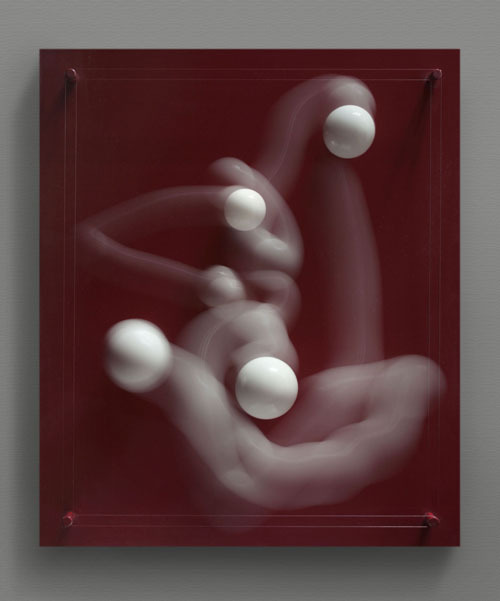 Some kiss, some spin off alone, while others race head-on only to meet with a soft embrace, or swerve around one another, often changing the path and destiny of each other without physical contact, as each sphere is able to sense one another. 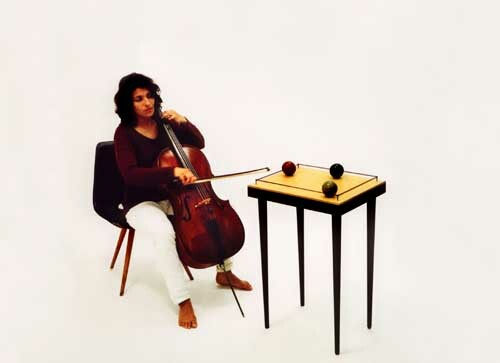 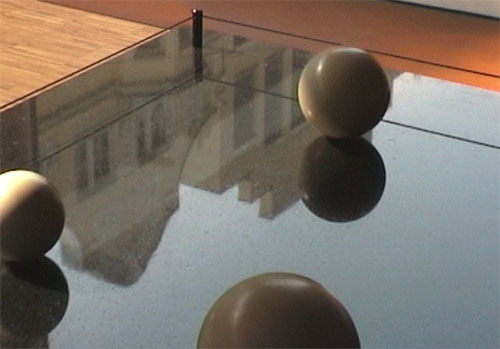 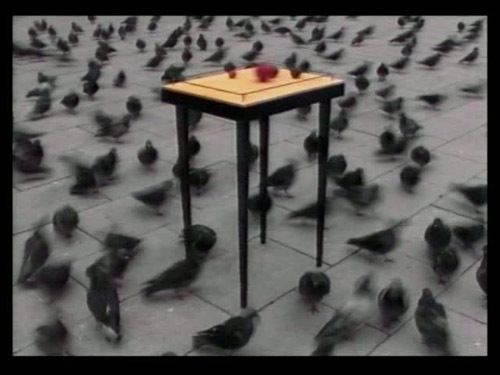 Like two people would dance differently to the same music, the individual spheres interact in a unique and live choreography directly initiated by its environment. 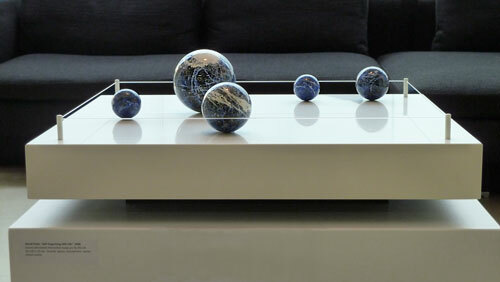 Physically, the sphere’s interactions create infinite possibilities and outcomes, within a finite resource. 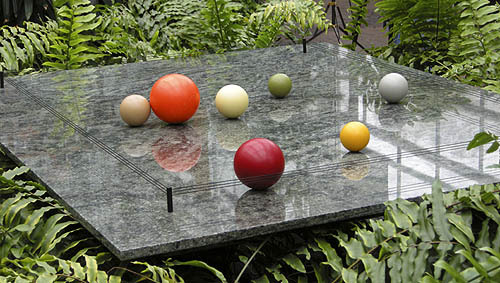 Metaphysically, these works can evoke a sense of creative problem solving, where discarding old beliefs, maps and rules are essential for sustainable life within a limited resource, such is our natural world. 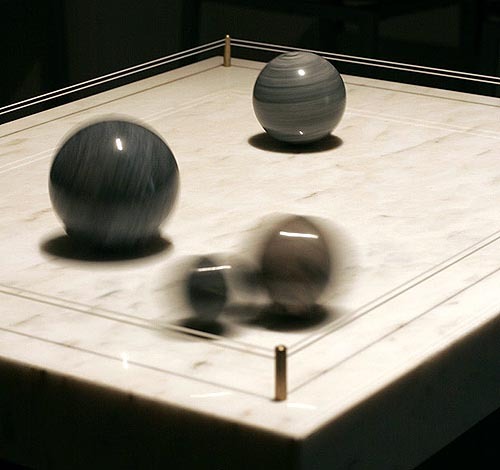 As we simultaneously influence and trace the movements of the spheres, our attention becomes increasingly focused on the non-linear dynamic relationships that unfold between them, effectively shifting the emphasis away from the individual objects themselves towards a highly subjective glimpse of a more complex individual picture. 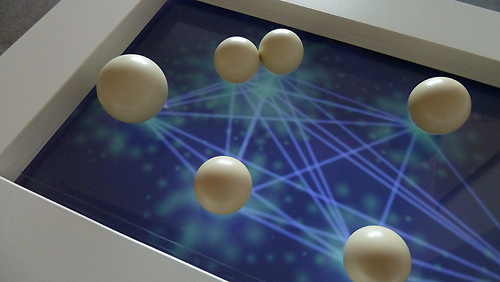 Creating a generative interactive experience, these works use simplicity in form combined with complexity of motion to provoke the viewer to forge perspectives on relationships, life and the polyverse of thought. 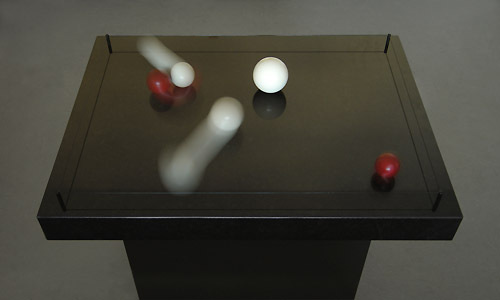 click images to play videos: single sculpture documentation. 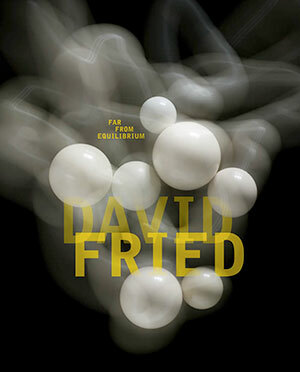 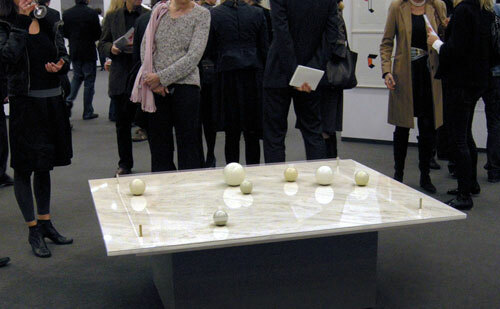 "night of the museums" david fried solo at Jörg immendorff's düsseldorf harbor atelier.